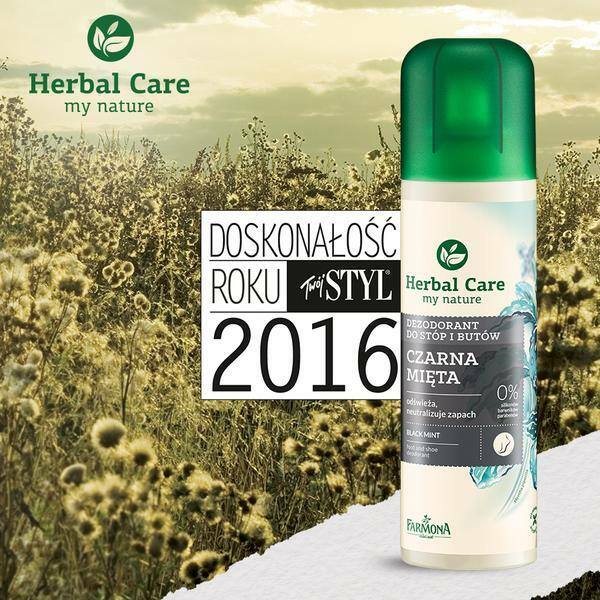 We would like to inform that our deodorant for feet and shoes Herbal Care BLACK MINT has been awarded in the category of men’s care in the plebiscite of Excellence of the Year 2016 Style! Pleasure The perfection of your Year of Style 2016 is one of the most important competitions in our industry. The jury evaluating male cosmetics entered this year: Maciej Chlebus, Marcin Krąglicki, Robert Kupisz, Piotr Polk, Artur Żmijewski, Jacek Szmidt, Maciej A. Brzozowski.